The mayor of San Jose wants to step up his anti-gun game. He’s working on an effort to record everyone who buys a gun anywhere in his city. This is an issue for a number of reasons I’ll get into in a bit. However, it’s amusing when the anti-gun journalists start to horrifically miss the point regarding opposition to this measure. But NRA spokesperson Dana Loesch nevertheless put Liccardo’s proposal on blast as a “gun registry,” invoking the idea that the purpose of new firearms regulations is to build a database of guns and gun owners for darker purposes. 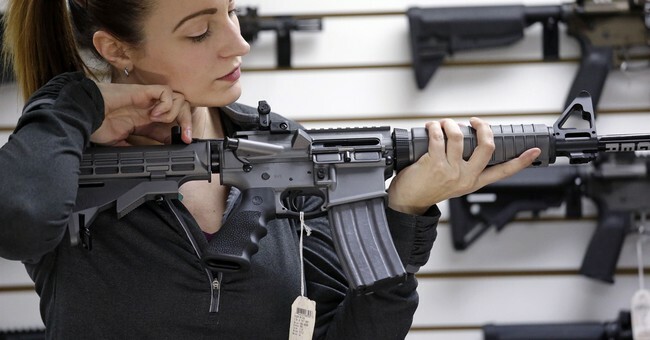 The Sacramento-based Firearms Policy Coalition called the proposed policy “unconstitutional, burdensome and irrational,” noting that California already boasts the strictest gun laws in the nation.Proponents of the idea say that recording gun buyers in a store should be no different from walking into a bank, where customers know they’re being captured on camera. The nation’s largest single gun retailer, Walmart, already abides by this principle: The mega-retailer has been recording its gun transactions for more than a decade. The San José policy would affect about two dozen retailers, and in-store security cameras are already a feature in most of them, the mayor says. The new rule would go above and beyond by making recordings mandatory and adding audio, too. There’s a major difference here. For one, the purpose of recording bank transactions isn’t to see who is doing what at the bank–which is what Luccardo wants to do with gun stores. It’s for security purposes, such as a teller committing fraud or a bank robbery. Most don’t mind the recording because they know they’re not the target. But recording who buys what at gun stores is a different matter entirely. The push for recording isn’t because there’s a concern of robbery at the gun store. No, it’s expressly so authorities can keep an eye on who is buying what. That changes things, making it an apples-to-oranges comparison. Walmart is a private entity. They’re free to do what they want, just as I’m free not to buy guns at Walmart (but since there’s never anyone at the gun country at my local Walmart, they kind of make that decision for me). That’s fine. In the free market, we get to make those choices as we see fit. San Jose is seeking to take away that choice and make it a requirement. What’s not being discussed is the impact this will create on gun retailers in the city. While it may only impact a couple of dozen dealers, it’s still a case of government regulation adding to the expense of owning and operating a gun store. That alone would be plenty of reason to oppose such a measure, but since we know what Mayor Luccardo wants to do with those recordings, we have all the reason we need to oppose this kind of nonsense. Which I’m sure the writer would have learned if he’d bothered to talk to anyone from the pro-gun side. While he had no issue talking to Giffords, he makes no mention of reaching out to the NRA. A quote of something Dana Loesch said on Twitter is hardly the same thing. Somehow, I suspect that this is the same kind of person who gets upset at people claiming media bias, too.